GEN. HAYES AND THE TARIFF. NEW ENGLAND MANUFACTURERS TO THEIR WESTERN SUBJECTS. And keep our mills at work. From all that hated section. They’ve lost their votes by Treason. As fast as we can pen it. And don’t you dare to mutter. Read more about Rutherford B. Hayes, the General, The Governor, The President. George Brown, Sr., and his sons, George Jr., Andrew and Jesse, along with others, evidently started out as vigilantes in the wild west of Texas, but soon began to abuse the power of justice and went on a murdering rampage over several years before being convicted. George, Jr. and Andrew were eventually hung for their crimes, but not before 14 people were murdered. The North-West learns from Mr. Johns that developments have recently occurred in Montague county that implicate a family of Browns, consisting of George and George Brown Jr., Jesse and An?a Brown, living near Red River, as the murderers of Rat Morrow and wife, a man by the name of Bachelor and a Mr. McClain. Some of these murders were committed near two years ago, but no certain clue to the murders had been obtained. Recently some domestic difficulties occurred resulting in one of the Brown’s wives leaving her husband, and threatening to revenge herself for wrongs she has endured by informing the public who were the murderers. This determined the murdering party to protect themselves by putting her out of the way, and one of the number was ordered to kill her. He refusing to obey, became another dangerous element, and was sentenced to a like fate. He flew to the authorities for protection and the secret was out. The Gainesville Gazette gives the following account of the wholesale assassinations which have prevailed for three years in Montague county: Three years ago R?t Marrow and the Brown family and several other parties living near Burlington, in Montague county, on the beef trail, got into a dispute about some cattle, and a short time afterward R?t Marrow was killed. Mrs. Marrow, the only witness to the murder of her husband, had the parties indicted. Threats against her life were made, and finally her house was burned and her body riddled with bullets. Some of the neighbors who took sides with the Marrows, shared similar fates–among whom were the three Easters brothers, who were killed in August, 1874,– Bachelor, whose headless body was found in Red River about a year ago, Kozier, whose body has never been found, but supposed to have been thrown into Red River, and a young man named McLain, killed last spring. Several parties who were witnesses to some of these bloody deeds have been intimidated and driven out of the country, and for this reason it has not been known until recently who were engaged in the murders. The citizens had a meeting a few weeks since, and from their movements a man by the name of Barris became uneasy and made some remarks that caused them to believe he was implicated. In the meantime, he had a falling-out with his comrades, and fearing that for knowing too much he would be put out of the way also, he went to some citizens and told them that if they would protect him he would tell who were the guilty parties, which they agreed to, and he gave the names of quite a number of individuals. Two of whom, Jesse Brown and Geo. Brown, Sen., have been arrested and put in jail; the others are still at large. Barris, who is a relative of the Browns, was also engaged in the murders, but says he was forced to it from threats. Great excitement prevails, and it is feared Barris will also be killed if not closely guarded. The Ben Kribbs (Krebs) mentioned below will get his own post. It is quite a spectacular (and not in a good way) story as well. Ben Kribbs, the principal in the terrible murder of the England family in Montague county, has been tried and sentenced to death. The jury were out only five minutes. He appealed…..Geo. Brown, murderer of Robert S. Morrow, three years ago, has been sentenced to be hung, but also appealed. The sheriff of Montague county, assisted by twelve rangers, brought down six Montague county prisoners to Gainesville last week, and lodged them in the Gainesville jail for safe keeping. The prisoners are all charged with murder, two of whom — Cribs and Brown — have been tried, and found guilty of murder in the first degree. They are waiting the decision of the Appellate Court. Gainsville Gazette: From Mr. J.D. Taylor we received the following list of prisoners now confined in our county jail: From Denton–T.E. Bailey, charged with theft; John Russell, arson; A.G. Hall, theft; D.B. Deason, forgery; C.F. Mack, theft; Wm. Lunsford, theft; Geo. McDonald, (col.) assault. Montague County — Geo. Brown, A.J. Brown, Jessee Brown, Jessee Brown Jr., L.P. Preston, B. Kribbs, murder. Cooke County — J.G. Swaggerty, assault to murder; J.W. Roberson, murder; B.A. Cameron, swindling; Joe Johnson, J.W. Hughes, J. Robertson, Charles Shole, theft; W.D. Brown, assault to murder; Frank Widener, aggravated assault; J.A. Carrol, arson; Frank Kidd, drunkeness. Clay County — John Reed, Charles Holder, (col.) murder. Monitor The court of appeals having affirmed the decision of our district court in the George Brown and Andrew Brown cases, those murderers will be hanged in Denton. They were charged with committing several murders in Montague county, but got a change of venue to Denton county. A final account(s) will follow this initial post, and will give lots of details about the various murders and the fates of the accused and convicted. The article is a long one, so I may break it up into more than one post. Here is a news account of a family from Kansas, who had just arrived by covered wagon to start a new life on the Texas frontier, when a violent incident changed their lives forever. SAD STORY OF A MISSOURI FAMILY. Mr. Ressler was a well-to-do farmer, who in an early day went to the State of California, and by hard work amassed what he considered a sufficiency for a good start in farming life. He returned home to Missouri, married and settled down to regular farming life. This spring, when emigration commenced Texaswards, the old fever which had taken him to California in 1851 began to rage, and although he had a good home he grew restless, and concluded to try his fortune in Texas. He was looking for cheap lands, and passed through Grayson county west into Cook and out into the western portion of Montague county. This country, though wild and subject to frequent incursions of the nomadic tribes of Indians that infest the western border, is rather rich and full of game. Mr. Ressler pitched his camp on a little stream, near a good spring, some four or five miles from any habitation, and little dreamed of danger. On the fourth day of their stay there, the oldest daughter, a young lady of seventeen, went to the spring for a bucket of water, but, alas! she never came back. One scream like that of the surprised panther was carried to the ear of the mother, who was at the camp, the father being out hunting. The mother rushed to the rescue of the first-born, only to hear the receding footsteps of the Comanche ponies. The mother was paralyzed with grief and fainted away as soon as she realized the fate of her daughter. YOUNG LADY HAD BEEN STOLEN. In the western wilds of Texas, and the family could no longer remain in the country that has caused them so much misery. The [Bazoo] reporter asked what became of the scalp. The tear-dimmed eyes of the mother looked in the direction of a substantial chest in the wagon, and she said: “It is there.” We asked if they had any objection to showing it. They said no and the father unlocked the chest and produced a long lock of dark hair, cut from the crown of the head, with about an inch and a half in diameter of the scalp. When this was produced, the entire family gave way to loud sobs; and we wondered why so ghastly a memento was kept, that would ever keep fresh in their memory the tragic end of their beloved daughter and sister. I ran across this article about Mrs. Bloomer and immediately remembered this cute book I had read to some students, who just loved the story. One thing led to another, and now I have a whole host of news clips, spanning over 10 years of time, covering various opinions regarding BLOOMERS and the women involved in the Reform Dress movement. The papers are full just now, discussing a new fashion of ladies’ dresses. Some correspondent from over the big water, wrote to the papers of this country that a dress of short skirts, reaching only to the knee, and trousers, large and full along the leg, but gathered close about the ankle, had been adopted by some of the unique fashionables. Mrs. Bloomer, editor of the Lily, thinking this style of dress would be convenient, induced a number of respectable ladies to join her in adopting it. They accordingly got their dresses made, and all came out at once. It created quite a sensation. A good deal was said about it, and a general notoriety given to the circumstance. This induced other ladies to try it. And now some are adopting it in almost every city and town. The last notice we have says that the ladies of Kenosha are adopting it. The press everywhere speaks of it highly. The beauty, comfort, and economy of the new dress is much talked of. It certainly must be an improvement on the long, street mops now in vogue. There seems to be a general feeling that the present style of ladies’ dresses is any thing but what it should be. And from what we see, we should not be surprised if the new style quickly superceded the other entirely. Success be with the innovation say we. The following clips were ALL printed in the same paper on the same day! ADVANTAGE OF LONG DRESSES. –Mr. Paxton, the designer of the Crystal palace, remarked the other day, at dinner, that he had thought the palace would be a difficult place to keep clean, and that he therefore designed a machine to obviate that inconvenience, of a hundred horse power, and had put the commissioner to some expense in having these machines made; but they had not been called into requisition, for they were not needed, as the building had been kept clean by the rich silk dresses of the ladies! Here is a fact for Mrs. Bloomer. A BRIDAL BLOOMER. — The Boston Commonwealth states that on Wednesday evening, one of the editorial fraternity of that city, took the hand of a fair lady in marriage, whose costume was an elegant white satin Bloomer. It was neatly made, fitting snug around the waist and close up in the neck, the spencer opening in front like a naval officer’s vest, and interlaced a la Swiss mountaineer, sleeves flowing, white kids, white satin slippers, hair done plain with a wreath of orange flowers over the brow, and a long bridal veil flowing from the crown of the head over the shoulders. A BLOOMER DRESS appeared on our streets on Saturday afternoon. We had long ago made up our mind to like it, yet had we ever been so much prejudiced against it, the first glance would have completely converted us. We have never seen anything of the dress kind that looked half so neat, or half so sensible. There is not even an approximation towards immodesty about it. The fair lady who had the moral courage to make the first inroad upon the disgusting pave-sweeping fashion, deserves great credit, and to show that our citizens appreciated her, we will state that not the slightest insult was offered to her while she was on the street. In the evening she was serenaded by our excellent brass band. We hail with intense satisfaction the beginning of the most sensible reform which is now before the people, and earnestly hope that our ladies will conquer their prejudices in favor of an unhealthy and disgusting style, and generally adopt the Bloomer costume. —Independent Democrat. THE FOURTH OF JULY IN LOWELL. — The whole town seems to have participated in the festival, with an evident determination to make it as vivacious as it is ordinarily noisy and dull. Besides the military and civic displays, there was a parade of a company, the “Antique and Horrible Artillery,” whose fun consisted in wearing all the quaint and old-fashioned garments that could be raked and scraped together in the country. Hats of enormous size and dickeys of enormous height and stiffness, alternated with knee breeches and hooped peticoats. The captain wore a coat which, on the 17th of June, 1775, covered Bancroft, of Pepperell, a Bunker Hill soldier. One of the soldiers wore a richly embroidered vest, which was once the property of General Sullivan. Ancient vehicles were put in use, as well as ancient costumes, and dilapidated chaises and carryalls were filled with the most venerable couples. But in contrast with the older dresses came some five hundred young ladies from the factories, dressed in the new style which has taken the name of its projector, Mrs. Bloomer. Their appearance was generally admired, and in the course of the day they presented a beautiful banner to one of the fire companies. MR. DENSMORE: — In looking over “Arthur’s Home Gazette” of a recent date, I noticed a few remarks devoted to the New Costume, which I though worthy of notice. Without discussing the merits of the Dress Reform, I wish to correct the wrong impressions made by his untruthful statements. have yet to meet the woman who approves the short skirts and pants, or who does not speak of them and their wearers, in a manner that strongly savors of disgust.” Passing over his evident desire to make it manifest that he meets with only “respectable women” or more fashionably “LADIES,” I would say that none can read his flat and insipid paper, or his stereotyped stories., and doubt that he associates only with “ladies” who look with disgust on any new or important reform. It may easily be seen how he happens to labor under the wrong impression that it does not “take” with respectable women. He probably was engaged twaddling with one of those “ladies” who would be shocked, and her modesty outraged, and who would look with “disgust” upon any one who should hint to her that her body was made of different material or was differently constituted from her milliner’s showblock, and while she was lisping her horror and “disgust” at the dress reform, she probably startles him with the new and original idea that it must be women of bad repute only that would wear the new costume, whereupon he tries to palm off such twaddling as facts upon his readers. That it will be read, we know, and fear by some believed, as it is a lamentable fact that such a milk and water paper as the Home Gazette finds a large circulation, for there are many who like to read his stories, as the world is filled with such sick sentimentalists as one I once heard say she “liked to read T.S. Arthur’s stories because the heroines always got married, or died of a broken heart, which was just as good.” The evil that is done by the circulation of his weak stories, which chiefly consist in going into raptures over the fortitude and noble conduct of some imaginative child of fortune in bearing its reverses, and applauding the moral heroism that caused them to refrain from cutting their own throats, in their despair, or in a sickly attempt to excite our sympathy for the suffering child of poverty which he always pictures in so beautiful and interesting situation, that the reader can hardly refrain from envying. But enough of such trash. The evil influence exerted by that sheet[?] is enough without his making false statements, to oppose that which is beyond his caliber to approve. We find in the larger number of our city papers favorable accounty of the progress of the dress reform, and through them we learn that our most able and intelligent men and women are in favor of it. But when I speak of the “women of our land” I do not mean T.S. Arthur “ladies.” They belong to another species altogether. MRS. BLOOMER RECANTING — Mrs. Bloomer, the author of the new style of dress, has an article in the last number of her paper, “The Lily,” in which she says that, could she have foreseen the notoriety and ridicule which she has incurred, she would never have commenced the movement. Mrs. Bloomer imagines that the reason women differ from men, is because they are schooled and educated differently. Nothing, however, could be more unfounded. Girls differ from boys, not incidently, but radically. The first thing a boy does after he is weaned, is to straddle the banister and ride down stairs. The first thing a girl sets her heart on is a doll and a set of half fledged cups and saucers. Girls are given to neatness and hate soiled garments of all kinds; boys, on the contrary, set a high value on dirt, and are never so happy as when sailing a shingle ship, with a brown paper sail, in a mud puddle. Mrs. Bloomer may reason as she may, but she will find in the end that Nature is stronger than either philosophy or suspenders. Mrs. Bloomer has gone to Council Bluffs to reside; she permitted her husband to accompany her. Mrs. Bloomer is Mayor (or Mayoress) of Council Bluffs, Iowa. “I don’t care what the world thinks or says,” is sometimes the bravado of a desperate knave — sometimes the weak boast of a fool. No one can, with impunity, set at naught the usages of society, much less its laws. The experiment has been frequently tried in this city, and has always resulted in the humiliation of the experimenters. Within the last ten years we have been preached and printed at by many social philosophers of both sexes, who desire to establish a new order of things, inconsistent with our preconceived ideas of religion, decency and propriety. They ????? against public opinion, and were unhorsed and brought to grief. They didn’t care for the world’s censure, not they; on the contrary, they pitied the ignorance and stupidity that failed to discern the superiority of their doctrines to those of the de? ?logue and the gospel, and determined to convince society against its will. But society is of “the same opinion still,” and its scorn has put the would-be innovators down. They have discovered that they have no levers long enough and strong enough to upset Christianized civilization; that they cannot change either its customs, its fashions, or its standards of equity. We hear but little now of the misguided ladies who aspired to be Amazons. Many of the spinsters among them have gone into the state of double blessedness, and (probably) changed their views. The followers of the eccentric Mrs. Bloomer, have, as a general thing, retired from the gaze of the critical public, and betaken themselves to crinoline; and the right of woman to do man’s work and wear his ungraceful apparel, seems to have been abandoned by our strong-minded sisters. And so time passes on, and bubbles which at first seem bright and pleasant, soar into the air of public opinion, are condemned by society, and gradually they disappear from the social horrizon and are lost forever with the things that were. DEAD FRUIT. — Mrs. Bloomer has abandoned her semi-masculine style of wardrobe. The bloom is off that rye, the blossom has ripened and the fruit found to be bitter and unwholesome. Read more about Amelia Bloomer here. EAST LIVERPOOL, O., July 23.– Residents of the city, one of the largest in Ohio to vote “dry,” are ??? ?y provisioned for a thirst siege. Yesterday was the last day for two years in which liquor could be sold. So the saloonkeepers had bargain sales and men and women crowded in to get the stuff. The saloon finish was also marked by a shooting a? ?ray in which Charles Hineman, a saloonkeeper, was fatally wounded. A.L. [or I] Mercer, a photographer, is alleged to have done the shooting and is held with a companion without charge pending the result of Hineman’s injuries. Hineman is said to have tried to stop a fight. Mercer and his companion escaped down the river on a ??? ?ch [maybe launch] but were captured by detectives. On the upside, with the booze ban, he was gonna be out of work anyway, so Mr. Photographer may have done him a favor. East Liverpool, O., July 23.–A shooting which is likely to result in a charge of murder, marked the closing tonight of the saloons for their long dry season under the result of the recent election. Clark Hineman, a saloonkeeper, is in the hospital with a bad bullet wound, and the surgeons say he cannot live until morning. Azel Mercer and George Heckatholm are in Jail. Mercer to be charged with murder if Hineman dies, and Heckatholm to be charged with being an accomplice. 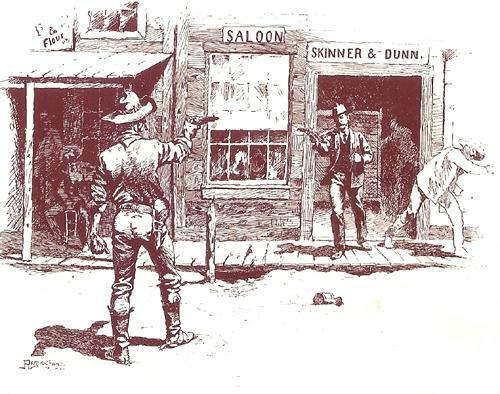 The shooting occurred during a free fight in front of Hineman’s saloon just at closing hour. Hineman attempted to play peacemaker, whereupon, it is charged, Mercer drew his revolver and shot him through the abdomen. Mercer threw the gun away, and he and Heckatholm made for the river, where they boarded their steam launch. The landed between East Liverpool and Wellsville, and were at once arrested by Policeman Dawson and McDermott of this city. Awaits the Slain Man’s Young Widow if She is Cured of Drug Habit. East Liverpool, O., Aug. 3.–The bulk of $15,000 in cash in a Pittsburg bank and considerable real estate in this city and Chester, W. Va., are to become the property of Maude Smith, whose name before her marriage to Clark [D or L] Hineman of Moundsville, W. Va., was Marie Bertrand, of Wheeling W. Va., if she is cured of a drug habit she is alleged to possess. The will of her late husband, which has just been filed for probate in the Columbiana county courts makes such provision for the young widow. A Texas saloon shoot ‘em up story. I had ancestors living in this area back in the 1890’s. SHERMAN, Tex., Jan. 17,–At Bell’s, twelve miles east of here, George Smith, a farmer, entered a saloon Wednesday night and compelled seven men at the point of a revolver to hand over their money and valuables. As he was leaving the saloon Jim Sibet, the town marshal, fired, but missed him, and Smith returned the shot and the bullet entered Sibet’s head. He will die. Smith was afterward captured, brought here and placed in jail in spite of the efforts of the mob to lynch him. I ran across this new item while searching and thought it was funny. MIDLAND, La., April 28,–Walter Eaton, “best man,” and seven other “guests” today faced charges for disorderly conduct following a wedding “prank” last night. When all the guests were seated at the table, the bride’s mother announced that the wedding had occurred five months ago and that the couple had gone to the train for their belated honeymoon. The enraged guests overtook the couple at the depot. Clarence Weidner, the bridegroom, was imprisoned in a coalbin all night and his bride was ducked in a public trough. Strike Sympathizers Make Raid on Non-Union Establishment. New York, May 15.–Max Alheim, a baker of East New York, who did not close his bakery when the bakers recently went out on strike, was dragged from his bed by strike sympathizers and thrown into a vat of dough in the basement of his establishment. He was so badly beaten that his removal to a hospital was necessary. The women raiders meanwhile attacked Mrs. Alheim and threw pailfuls of dough upon her. The police dispersed the raiders and arrested two of them. This fellow was mighty brave, but he also knew his luck could run out on the turn of a stone. Three Stone, Three Snake, Four Stone—But Man Lost His Nerve. At a certain point where the Buffalo Rochester & Pittsburg railway are making an extension to their lines near Homer City, copperhead snakes are said to be unusually plentiful. The other day an Italian laborer was told to get some rocks out of the way and after securing a crowbar he went to work. A man ahead of his time, or was he just keeping an eye on the bottom line? LANCASTER, Jan. 19–Fellow dairymen shook their heads when Park Miller installed a radio for his 31 cows about a year ago. Today he explained [what] his experiment disclosed. 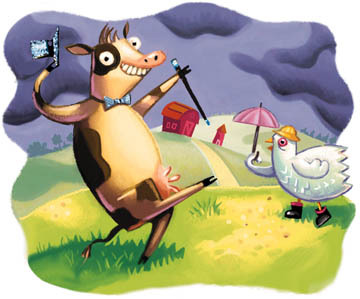 Cows like to hear dance orchestras. They seem to prefer snappy tunes to the dreamy waltz numbers. Classics are not so effective. Symphonies and bits from the comedians and speeches never should be tuned in. Miller explained he installed the radio because he figured music would help keep the cows contented. Poultrymen discovered some years ago that they got more eggs by putting electric lights in their hen houses. It works out the same, he said. When he turns on the radio his 31 cows show immediate interest. If the orchestra swings into some catchy tune, they’ll listen in bovine contentment, seldom taking their eyes from the machine.If the music doesn’t have that certain swing, the cows appear bored. Then there’s something else about putting a radio in your cow barn. Miller said he observed that his hired men went about their work with a lot more vim and vigor when a snappy tune was on the air. Timely Reminders From Pennsylvania State College. Eggs and Electric Lights–If artificial lights have been turned on in the poultry plant, turn on an equal amount of common sense with them. Those who get an egg production much over fifty per cent for any length of time will pay dearly next spring by having their flocks go to pieces and molt. And her father’s solution was to hand her over to the Children’s Aid Society. Nice! Drove Little Annie Heasley Away From Home. The little girl who was found wandering on the streets of Shelocta last week, and afterwards turned over to Human Agent Thompson, has been identified. Her name is not Jessie Anderson, as she told Mr. Thompson, but Annie Heasley, and her home is near South Bend rather than Five Points. When taken before Sidney Marlin, J.P., she told quite a different story than on her first questioning. 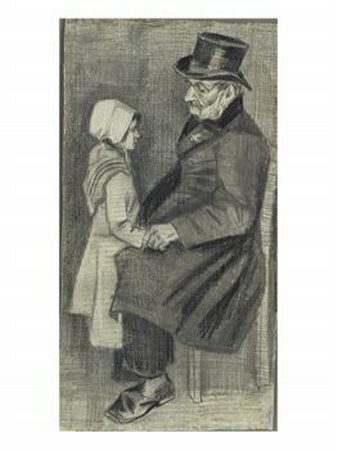 Her father who was informed of her whereabouts through the GAZETTE, was present when the child told her story and was much shocked as every detail of the plan to send her homeless into the world was revealed. Annie’s story was like this: Her step-mother told her that she must never again use the name, Annie Heasley, but must always pass as Jessie Anderson; neither was she to tell anyone that her home was near South Bend. Quite a clever scheme was fixed up to conceal the identity of the child, and she was then driven from home, followed by threats of a severe whipping if she returned, or departed from the story which had been manufactured for her. From South Bend she wandered to Shelocta where she was picked up and brought to Indiana. Her father when he found she was in town, thinking she had run away, had papers made out committing her to the Morganza reform school, but on hearing her story turned her over to the Children’s Aid Society, who have given her over to a family named Kauffman, near Homer City, to raise.